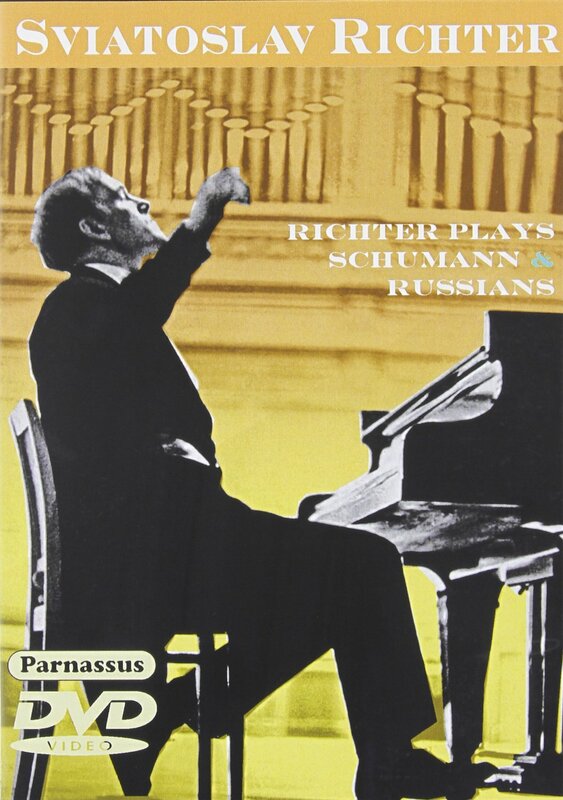 Following the success of PDVD 1201 – Sviatoslav Richter Plays Beethoven and Chopin, Parnassus presents a second DVD with over two hours of prime Sviatoslav Richter performances on video. 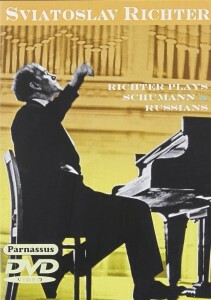 The first program on the disc consists of a collection of Schumann performances, highlighted by a complete performance of Faschingsschwank aus Wien, a Richter specialty, from 1976. The remainder of this program presents shorter Schumann works, including another great Richter specialty, the Toccata, all from a 1985 concert. The second program is almost all Russian music, works of Tchaikovsky and Rachmaninov, from a concert of 1982. This program concludes with two Debussy Preludes and a Rachmaninov Prelude from the same 1976 concert as the Schumann Faschingsschwank. We know that Debussy was not Russian, but he did spend time in the country and these performances were simply too good to discard. The video quality of the 1976 recordings is limited by the characteristics of Soviet film stock, resulting in a somewhat grainy image. The 1982/85 recordings come from excellent quality videotape originals. They have been carefully remastered from the best available sources. The sound quality is fine, in stereo throughout. Few videos of Richter have been issued, and most of those available show Richter in his later years. This release is the only the second full-length program of Richter from the 1970s and ‘80s (after PDVD 1201) issued on DVD. Parnassus Records are distributed in the U.S. by E1, in Italy by La Tosca, and elsewhere by alto distribution and associates (see http://altocd.com/international-distributors for listing).